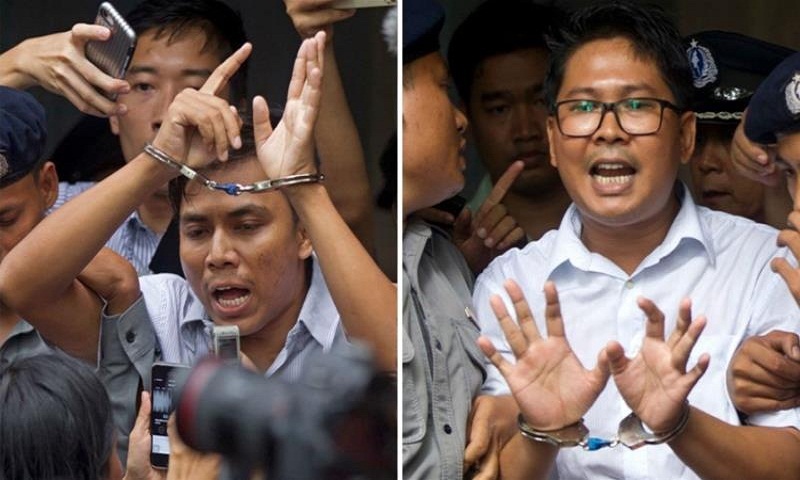 A court in Myanmar has rejected the appeal of two Reuters journalists convicted of violating the country's Official Secrets Act, and maintained the seven-year prison terms they were sentenced to last year. The men were convicted for having government documents in their possession. They were arrested on Dec. 12, 2017, in the country's main city, Yangon, immediately after having a meal to which police officers had invited them. They and their supporters say they were framed by police because of official displeasure over their reporting on the brutal crackdown by security forces on minority Rohingya Muslims in Myanmar's Rakhine state.